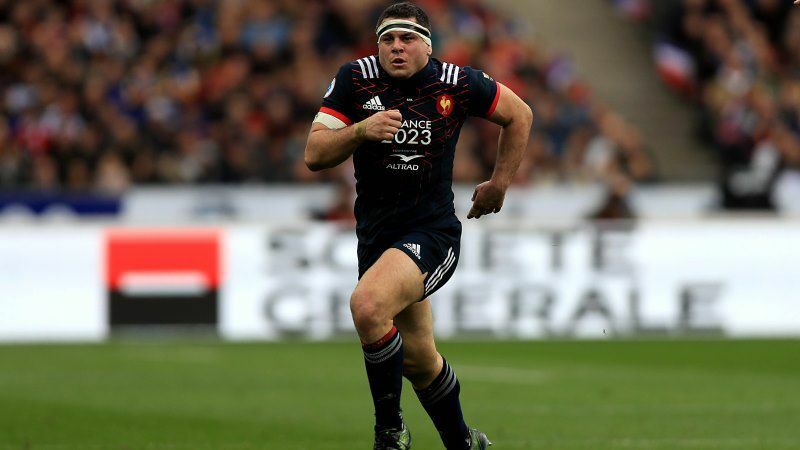 France head coach Jacques Brunel on Friday named the following team to face Scotland in the Six Nations at Murrayfield on Sunday. France: 15-Geoffrey Palis, 14-Teddy Thomas, 13-Remi Lamerat, 12-Geoffrey Doumayrou, 11-Virimi Vakatawa, 10-Lionel Beauxis, 9-Maxime Machenaud, 8-Marco Tauleigne, 7-Yacouba Camara, 6-Wenceslas Lauret, 5-Sebastien Vahaamahina, 4-Arthur Iturria, 3-Rabah Slimani, 2-Guilhem Guirado (captain), 1-Jefferson Poirot. Replacements: 16-Adrien Pelissie, 17-Eddy Ben Arous, 18-Cedate Gomes Sa, 19-Paul Gabrillagues, 20-Louis PIcamoles, 21-Baptiste Serin, 22-Anthony Belleau, 23-Benjamin Fall.